FOR IMMEDIATE RELEASE: Bangor, Maine (July 18, 2016) – When Ultimate Fighting Championship (UFC) President Dana White comes to Bangor on August 5, 2016 to check out the local talent New England Fights (NEF) has to offer, Jesse “The Viking” Erickson (7-5) will unfortunately have to watch from the sidelines. Erickson suffered an injury while training for his bout with Jon Lemke (5-5) previously-scheduled to take place that evening. White will be present to record a future episode of his web series Dana White: Lookin’ for a Fight in which professional mixed-martial-artists have a shot at earning a UFC contract based on their performance. Within mere hours of being informed of Erickson’s injury, NEF executives had found a replacement in the form of the promotion’s reigning professional lightweight champion Devin Powell (7-1). The bout will be a non-title contest scheduled for three-rounds at a catchweight of 160-pounds. It is a rematch of a May 2014 NEF fight which Powell won via first-round submission. 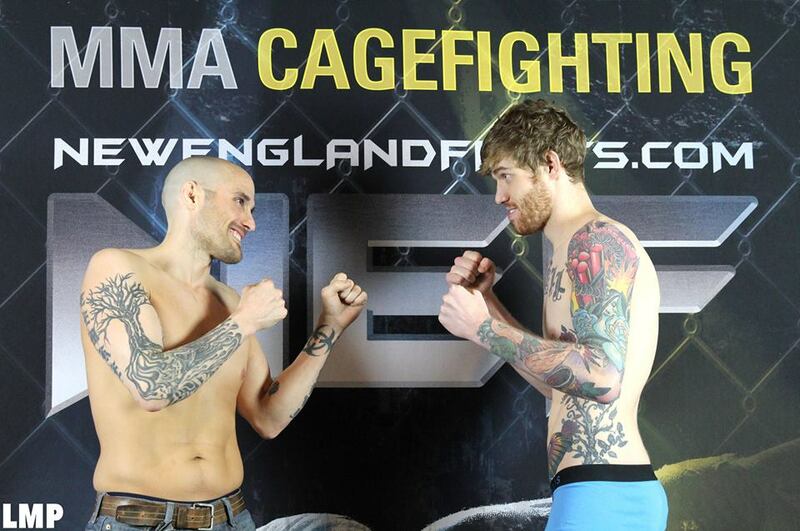 Should Lemke win the rematch, he will be in line for a title shot in the rubber match. New England Fights’ next event, “NEF Presents Dana White: Looking for a Fight” takes place on Friday, August 5, 2016 at the Cross Insurance Center in Bangor, Maine. Tickets are on sale now at www.CrossInsuranceCenter.com or by calling the box office at 800.745.3000.